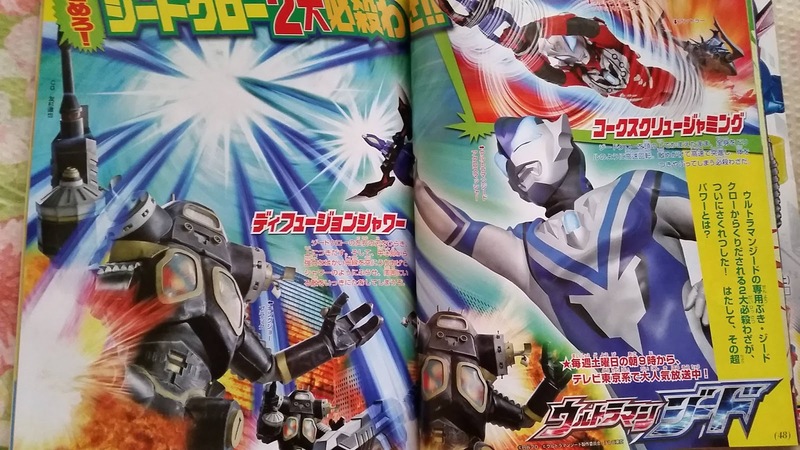 Here are the latest Ultraman Geed scanlations from the September 2017 issue of Terebi Magazine featuring Geed's new weapon, the Geed Claw plus a look at Ultraman Zero Beyond! Introducing the Geed Claw, a powerful ranged and melee weapon that Ultraman Geed will acquire this coming Saturday. 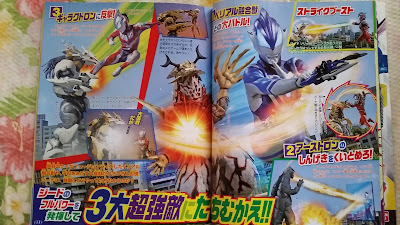 It can unleash various attacks like the Corkscrew Jamming (a spinning attack ala Pyscho Crusher or Getter Robo 2 Drill attack or Combattler V's Denji Spin), Diffusion Shower (the claw transforms into a mini-arrow and shoots a beam upwards then a shower of energy beam comes down) and Claw Cutting (your regular slashing attack). 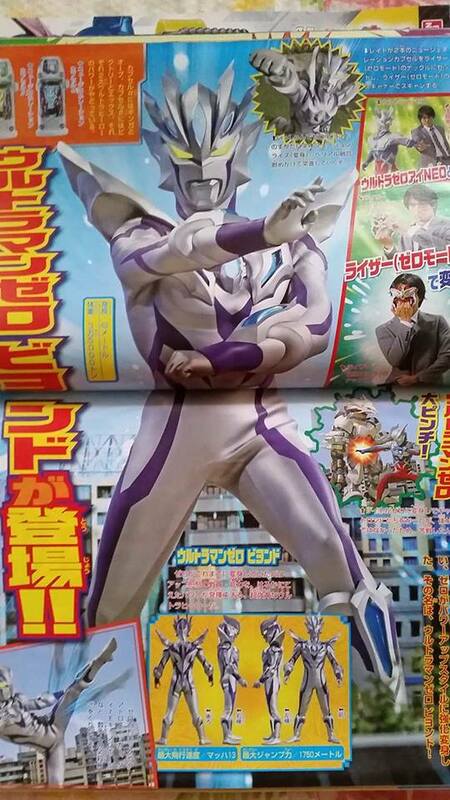 Lastly, we have Ultraman Zero's newest evolution, Ultraman Zero Beyond! He transforms into this new form by combing the Ultra Zero Eye Neo with the Geed Riser and by scanning the New Generation Ultra Capsules Alpha and Beta. 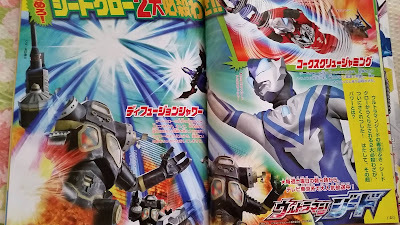 His attacks include the Quatro Slugger and Hyakuretsu Kick (press any kick button rapidly).